Here are 5 incredible activities to enjoy with a private pilot’s license! 1: Join a Flying Club. A flying club is a great way for pilots with a private certificate to team up with other pilots and spread out the costs of owning and operating an airplane. Most club members will tell you the lifelong friendships with other people also in love with flying are pretty awesome too. Corporate clubs – owners rent their planes out to a second group of members who pay a membership fee, usually on a monthly basis. Partnership clubs – four owners share the aircraft, exclusively. Rookie pilots who are limited in experience of maintaining or financing an aircraft are often better off involved in a corporate club. This is a pretty inexpensive option for renting an aircraft, plus it also relieves them of the cost of maintenance and other responsibilities, which are taken care of by the owner of the plane. On the other hand, there’s something to be said about owning your own plane — even if that means sharing it with three other pilots. The partnership route can be rewarding, as long as the “aircraft allocation” details are clearly defined beforehand and you have an agreement with all of your co-owners. Either way, new pilots should get involved with a flying club! It really is an incredible way for anyone with private pilot certification to find like-minded individuals and fly affordably. 2: Be a Tour Guide. It’s difficult to put a price on new experiences. Sharing a unique hobby with others is often a rare and priceless opportunity. But flying is a creative chance to provide unforgettable adventures for your friends and loved ones. As a pilot with a private certificate you’re legally unable to charge a fee for giving people rides in your aircraft. There’s a very prominent government-regulated line between what’s allowed with commercial versus private pilot certificates. And charging for flights falls strictly within “commercial pilots only” territory. But that doesn’t mean you can’t bring your friends and family into the air with you as a gift. Watching the face of someone who is in a private plane for the first time is a truly rewarding experience. Of course, being a local tour guide is great, but being able to cover an entire region for business or pleasure is a completely different level of flying. “Cross-country flying” (or taking off from one airport, and landing at a different one some distance away) is an treat and there is NO freedom like it. There are more certifications that a private pilot can earn after getting basic private license. These add-ons start with an instrument rating, and they go all the way up to a commercial pilots license. Yes, some recreational pilots do choose to complete commercial certification even though they’re not planning on pursuing a career in commercial flight… because it hones safety skills and flying techniques. Getting additional certifications and logging flight hours are the two main roads to becoming the master of a region. Each takes a lot of dedication and attention to detail when it comes to your hobby and a noteworthy time commitment. But the payoff of freedom and convenience is a reward like no other. Aerobatics are flying stunts: loops, barrel rolls, tail spins, steep dives. All of these add a serious dose of adrenaline to the overall flying experience. Hoping to become the next Red Baron? Anyone holding a private pilot’s license is able to train formally in aerobatic maneuvers. As long as his or her stomach can handle the tricky maneuvers! The wonderful world of aerobatics even comes with its very own governing body, known as the International Aerobatic Club (IAC). The IAC enables daredevil pilots to qualify for various levels of expertise, as well as partake in high-flying lessons and competitions all around the globe. So if you think you’ve got what it takes to be trick-flyer… give it a whirl! A classic scene from Hollywood: a small plane soars over a smooth, tranquil lake in the middle of the unidentified wilderness, gliding skillfully into the water on two huge pontoons to stop at a beautiful and weathered dock… Sounds awesome, doesn’t it? 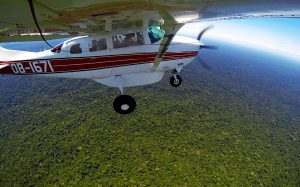 While becoming a professional bush pilot requires a significant amount of additional flying lessons and certification requirements, becoming a private pilot is certainly a step in the right direction to achieving amateur bush pilot status. 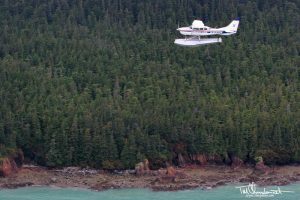 With further training and certification in landing planes with pontoons or skis, and without the limitation of needing roads or runways, the wilderness can become your new private getaway location. Certification in landing planes equipped with a tail wheel is another great option to look into. It enables pilots to take off and land on the very short landing strips that are often present in remote locations. If you’re thinking of buying a small aircraft, used is the way to go. Norfolk Aviation is constantly adding new planes to our extensive inventory of well-cared for and sharp aircraft. We are personally involved in every aspect of your purchase, and will provide you with top-rate customer service. Or, if you already own a plane but it’s time to update its look, our highly-skilled aircraft painting technicians will design and implement a brand new paintjob for you! Contact us today to find out why Norfolk Aviation is the name people trust.